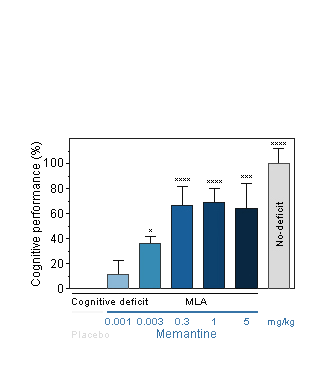 Methyllycaconitine is an alpha-7 nicotinic acetylcholine receptor specific antagonist with brain penetrance. NEUROFIT has developed this model because these receptors play a central role in Alzheimer’s disease. 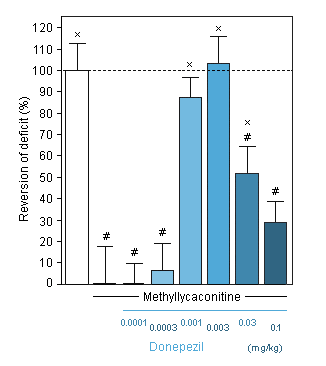 Alpha-7 nicotinic acetylcholine receptor agonists or PAM alpha-7 are usually tested in this model but other treatments could also be considered. Please feel free to contact us to discuss the feasibility of your study.